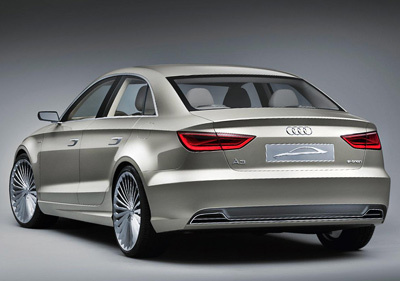 The Audi A3 e-tron is a hybrid powered version of the A3 'notchback' sedan concept. 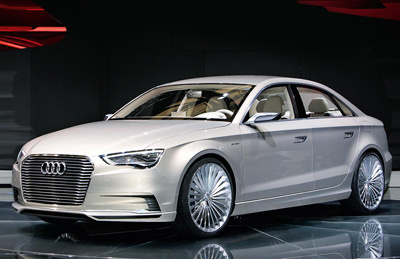 The Audi A3 e-tron concept is a hybrid powered version of the A3 'notchback' sedan concept. 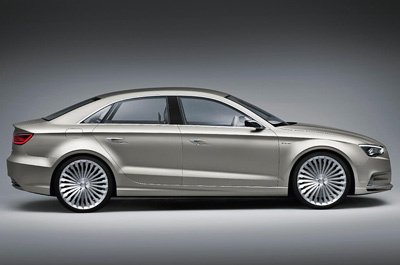 The concept was introduced at the 2011 Shanghai Auto Show. 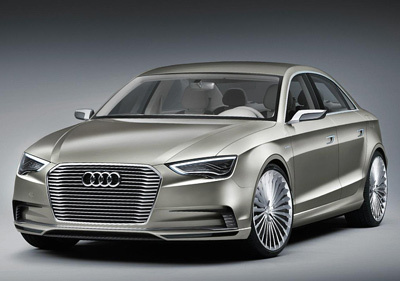 The styling of the A3 e-tron is more or less identical to the A3 sedan concept. About the only changes are a new grille with more slats, slightly different lower air intakes and new wheels. 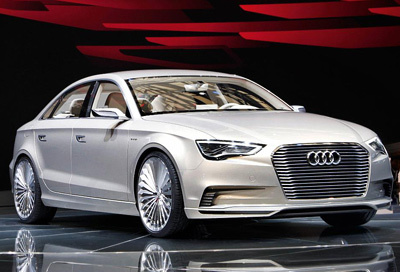 The plug-in hybrid drivetrain of the A3 e-tron consists of a 211 horsepower, turbocharged 1.4 litre TFSI four-cylinder engine and a 27 horsepower electric motor. Working together, the engine and electric motor can accelerate the car to 62mph (100km/h) in 6.8 seconds, then on to 144mph. The lithium-ion batteries, which are located behind the rear seats, give the A3 e-tron a range of up to 34 miles on electric power alone. The transmission is a compact seven-speed S tronic unit.